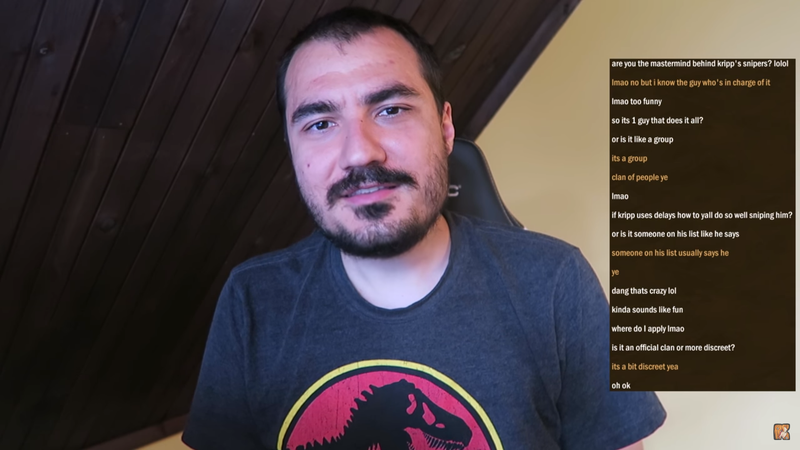 Several times throughout his Twitch-streamed arena runs, Octavian “Kripparrian” Morosan has noticed odd things: repeating opponent names, accounts named “sniper,” and decks that seem constructed to beat his own draft. After some investigative work, Morosan found proof that this was no coincidence, uncovering a dedicated group of players who would build strong decks and wait to queue into him, intentionally “sniping” his arena runs. “Stream sniping” is the act of jumping into a multiplayer queue at the same time as a streamer in order to play against them, and as streamers have become more popular, so has sniping. Some do it just to play against their favorite pros or personalities, but some target streamers like Morosan to tank his games on-purpose. Arena runs are usually meant to be somewhat-randomized—players have to draft a 30-card deck and see how many wins they can get, while three losses will end the run. These snipers will often show up in Morosan’s games with strong, one-in-dozen or more decks to ruin his run, and due to the volume of accounts they use, they can have a multitude of these decks on standby. In Morosan’s video (h/t Eurogamer), he goes over all the anti-sniping measures he takes, including changing his in-game name several times and playing with a slight delay. “Just with those measures among a few other I’ve done, it seems almost impossible to play a specfic person almost every day that I play,” said Morosan. But some of his viewers found the group of players who were determined to play arena, a 30-card random draft matchmaking mode, specifically to snipe Morosan’s queue. He eventually purged his friends list, suspecting there were moles who tipped off the sniping guild to get around Morosan’s stream delay. After a tip from a subscriber, Morosan added a sniper and looked into their friends list, which only had one person. After adding that person, he uncovered a long friends list of sniper accounts. Some of Morosan’s subscribers also infiltrated the guild and talked with some members, whose chat logs were shared in Morosan’s video. As for results, Morosan says they have “basically run them out of operation, for now.” But it’s likely more will show up, especially since Hearthstone is a free-to-play game. For the time being, it seems like stream sniping is still an unfortunate reality of being a high-profile streamer like Kripp.